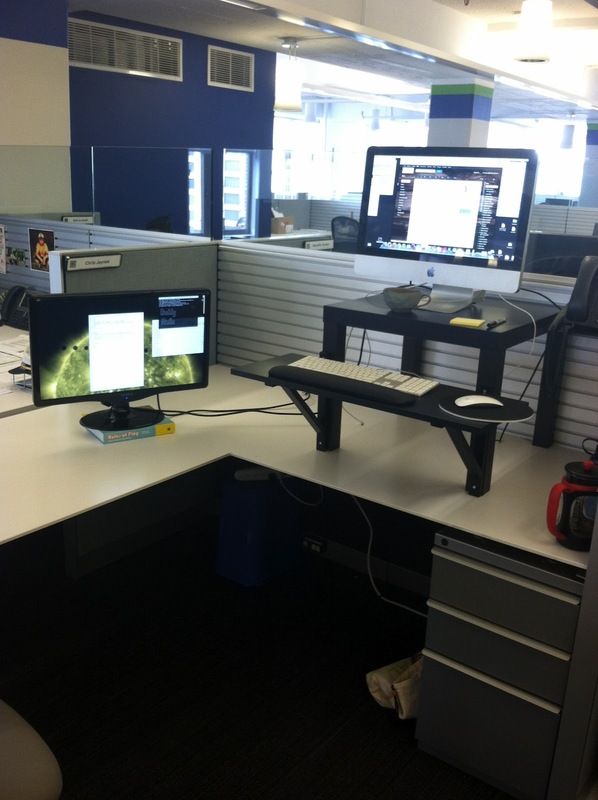 Was at the GA Happy Hour this past friday and was chatting with some friends about my experiment with a standing desk. 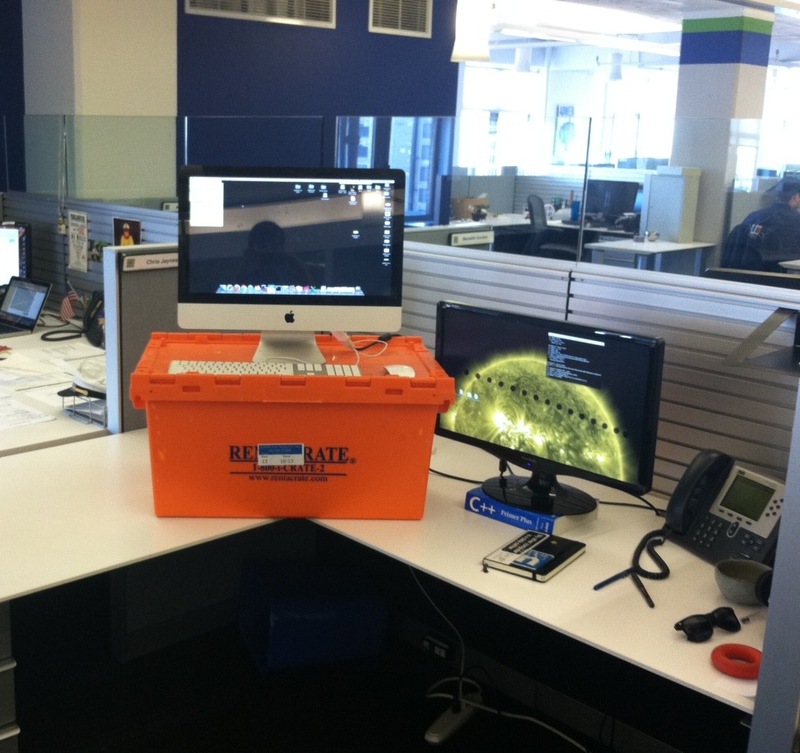 I used the term desk loosely because it was a plastic shipping container on my actual desk. But it did the trick. One of them mentioned it was catching on at the North Wing of GA. 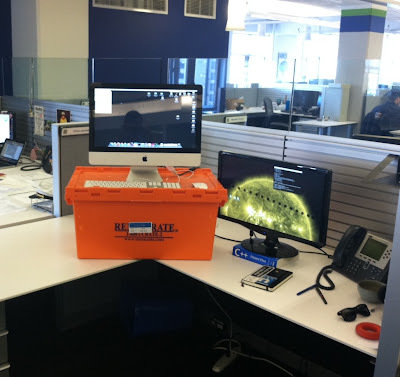 Didn't think anything of it till I was reading a blogpost on HN from Colin Nederkoorn and saw a previous post about the $22 Ikea standing desk hack. I read it and immediately went to Ikea and purchased the side table and bookshelf. Here is the final product, and at the very least it looks way better.